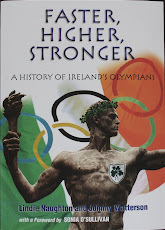 Irish Olympians - Faster, Higher, Stronger: London 2012 Marathon - who will go? London 2012 Marathon - who will go? Marathon runners Ava Hutchinson and Linda Byrne may have run the A standard for the London Olympics but, as yet, neither is sure of an Olympic place. In the past, with three places on offer, the National Championships acted as an Olympic trial, with the winner guaranteed a place, providing they made the qualifying time. If several athletes came home under the qualifying mark, then the fastest two got picked. Under those guidelines, Linda Byrne, winner of the national title last October in Dublin, would have been sure of her place. Byrne's time of 2 hours 36 minutes 20 seconds in her first ever marathon was achieved through hard work and impressive discipline on the day. 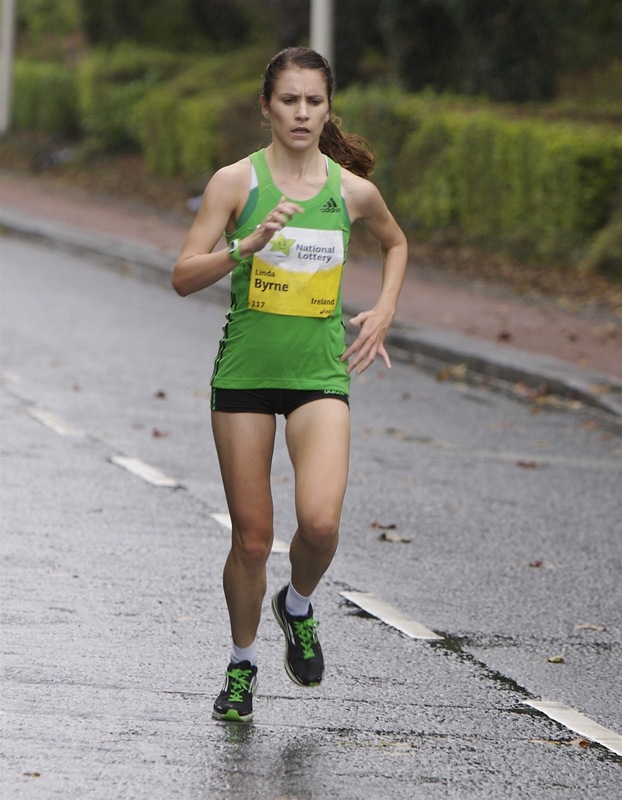 With 190 days to go until London 2012, Byrne will not run another marathon; she feels her time in Dublin should be enough. One woman learning a hard lesson in Dublin was Ava Hutchinson; she finished in a disappointing 2:42.50. All was forgotten last Saturday when Hutchinson, fully fit this time, emulated Byrne's Dublin tactics in Houston. She started slow, and then stuck to an even pace she could manage until she reached the finish. Her time of 2:35.33 put her comfortably inside the Olympics A standard of 2:37. While Hutchinson and Byrne are likely to make the London 2012 team, all could change radically over the next few weeks. 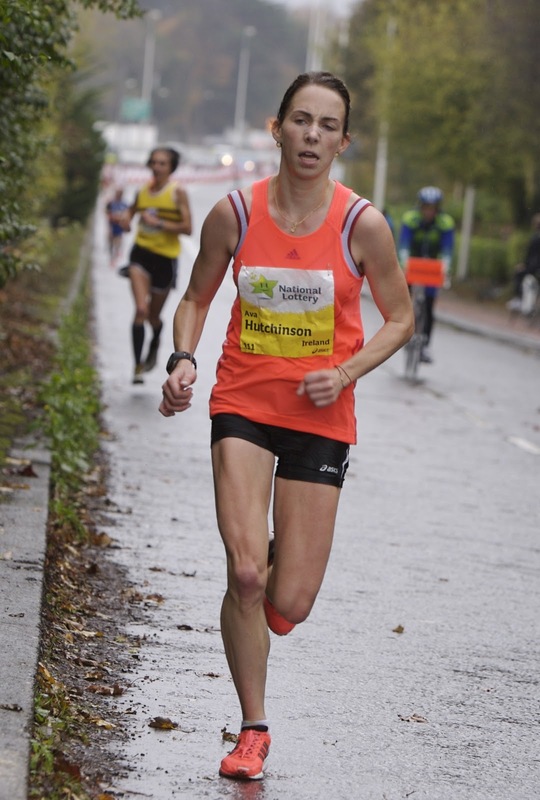 Maria McCambridge ran 2:35.29 in Paris two years ago, but could manage only 2:40.26 in Dublin last October - only months after the birth of son Dylan. At the age of 36, McCambridge knows time is running out. She will run a marathon in the next few weeks - Seville on February 19 or Barcelona a month later on March 17 are two options - and if she gets her pacing right, could nail down the third place. There are others who fancy their chances. The 2010 national marathon champion Barbara Sanchez ran her first race after a long break last week, and could join Caitriona Jennings, Lorraine Manning, Annette Kealy, Lizzie Lee, Breege Connolly, and Rosemary Ryan at the Rotterdam Marathon on April 15. Then there's Gladys Ganiel, who may line out in London after clocking 2:40.56 in Houston.